Diapers are only half the changes that come with a new baby. It’s the new feelings that come with new responsibility that can really be hard on a teen parent. Download this resource to help you–and her–navigate the mixed bag of feelings that come along with that new diaper bag. 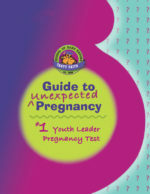 Are you dealing with teen pregnancy or a young teen mom? Did that cheerleader birth new emotions along with a new baby? Did the student counsel president realize that diaper duty would interfere with her classroom duties? Or that it’s hard to text when your fingers are covered with baby urp. The diapers are only half the changes that come with a new baby. It’s the new feelings that come with the new responsibility that can really be hard on a teen parent.